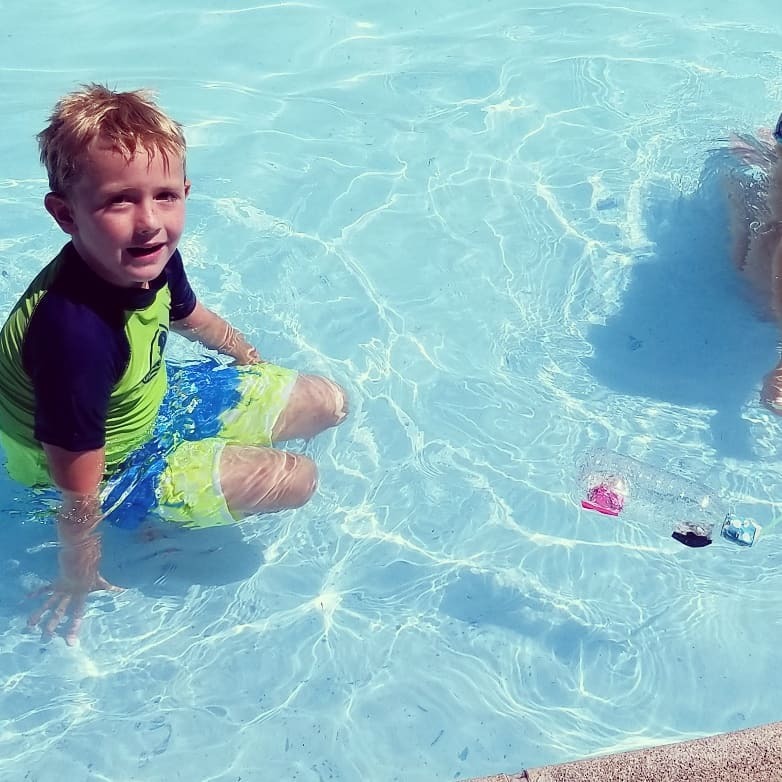 Bring a Science & Swim program to your pool! 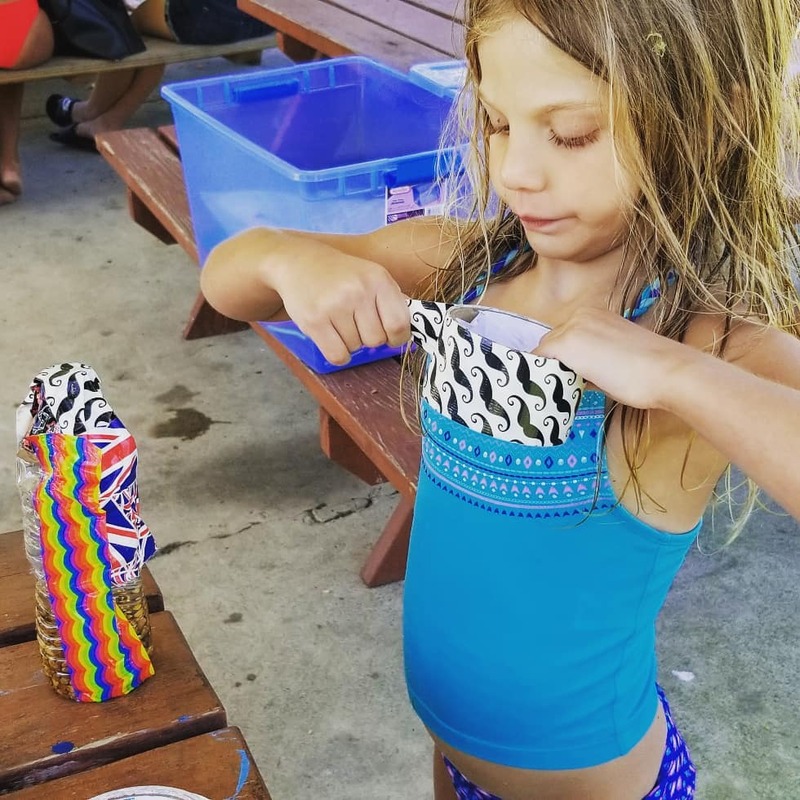 Science & Swim is a unique branch of our Maker Camp program that brings Science, Technology, Engineering, Art and Math (STEAM) education to local pools. 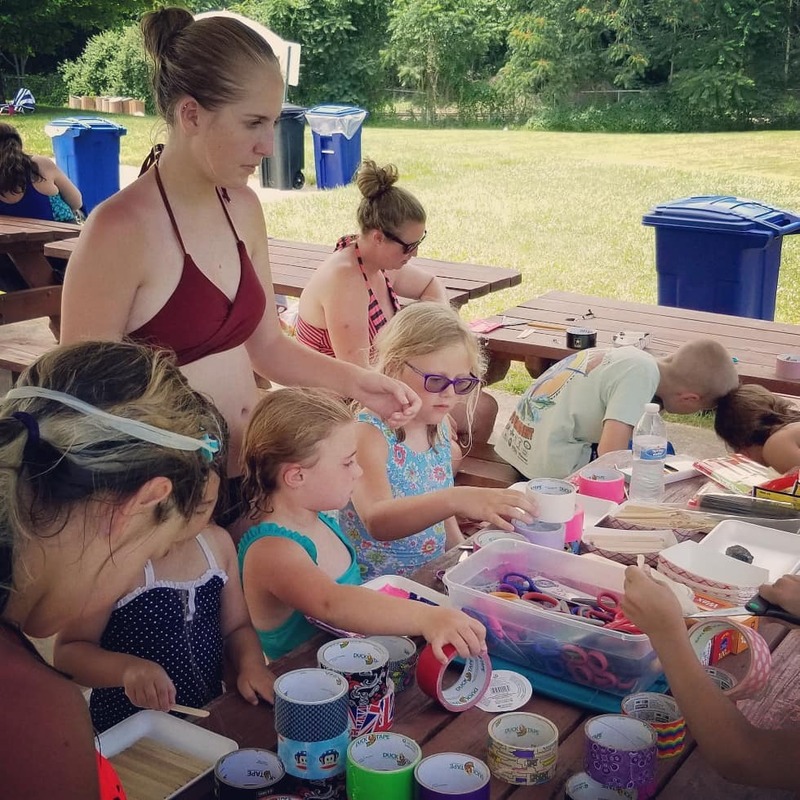 By bringing fun, engaging projects to a place where kids are already spending their summers, we seek to inspire children to learn, explore and create. 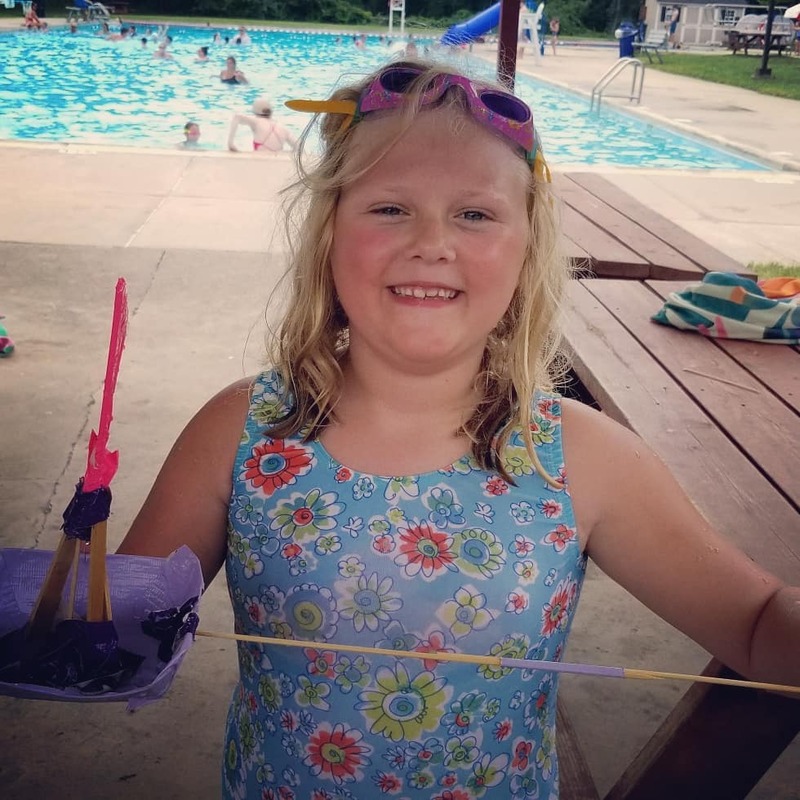 Using simple household materials and lots of duct tape, participants build submarines, sailboats, torpedos, pool toys, paddle boats, fountains and more. 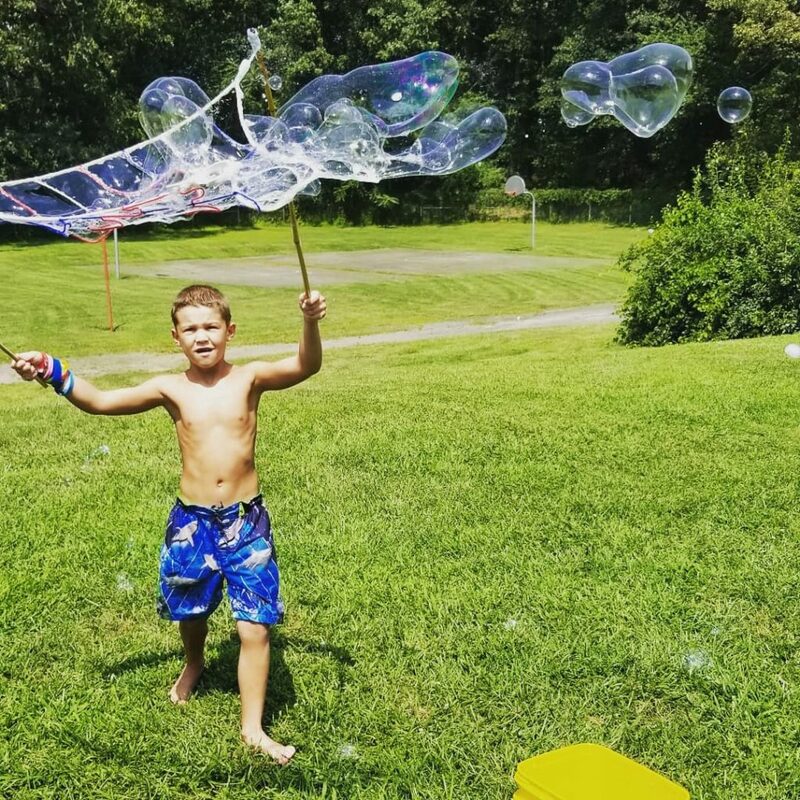 They explore surface tension by playing with bubbles, discover density by dissecting pool noodles, and learn about centrifugal motion through spin art. 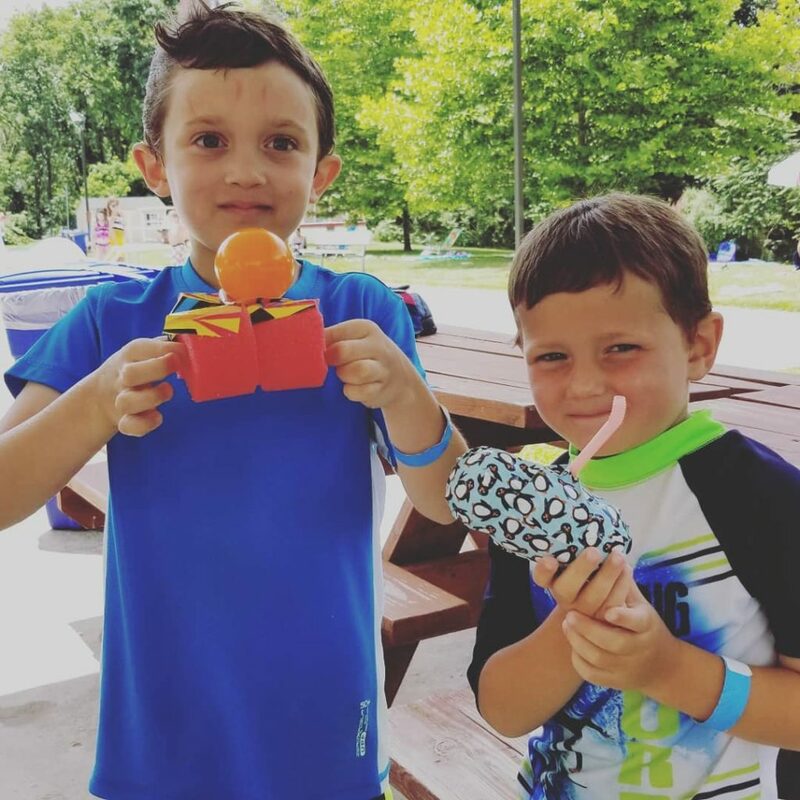 Kids become makers, overcoming challenges and working together while having fun. 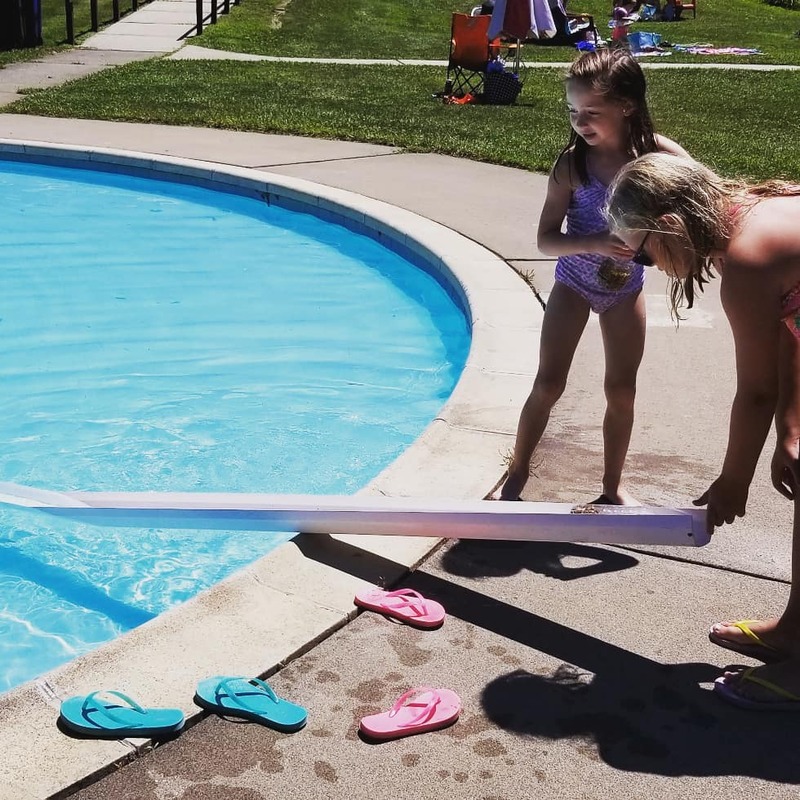 Particpants are encouraged to take their inventions into the pool to test them and share them with others. At the end of the session, they take home everything they’ve made. 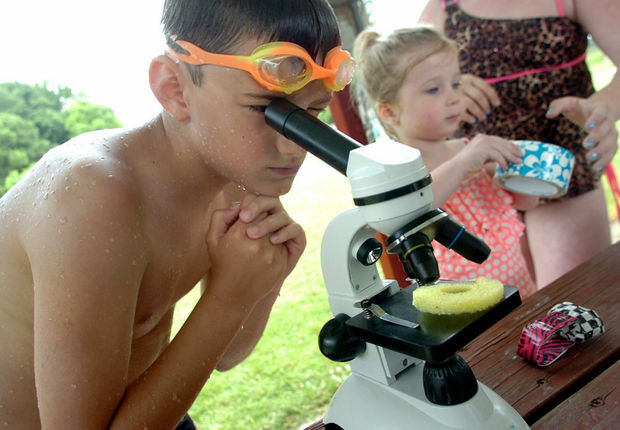 Science & Swim is a great opportunity for kids to create and explore in a no-stress, informal setting. Not only do they learn about science and engineering, but they also build confidence and feel empowered to take on the world. Follow our Calendar or Facebook Page to locate programs in your area. Or reach out to book this fantastic program at your local pool. 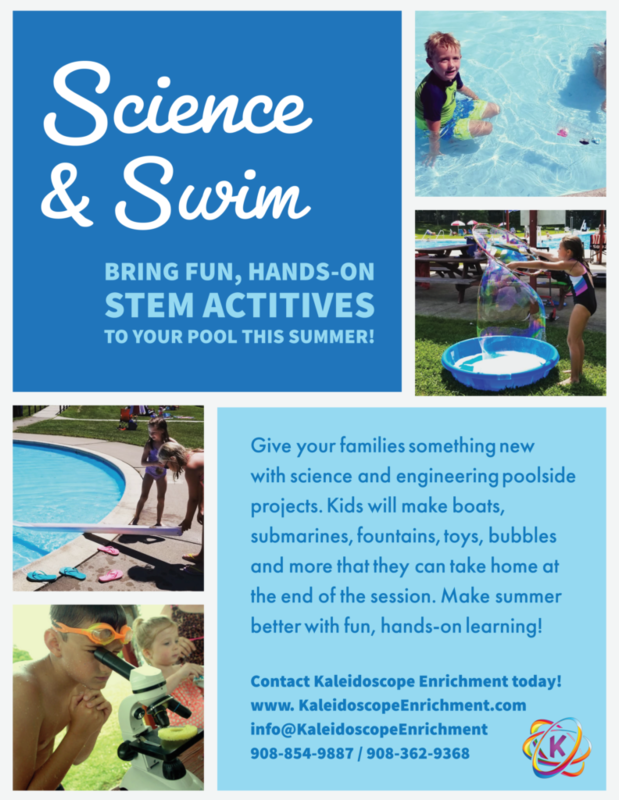 A Science & Swim program is sure to increase pool attendance while enhancing the pool experience for your community! 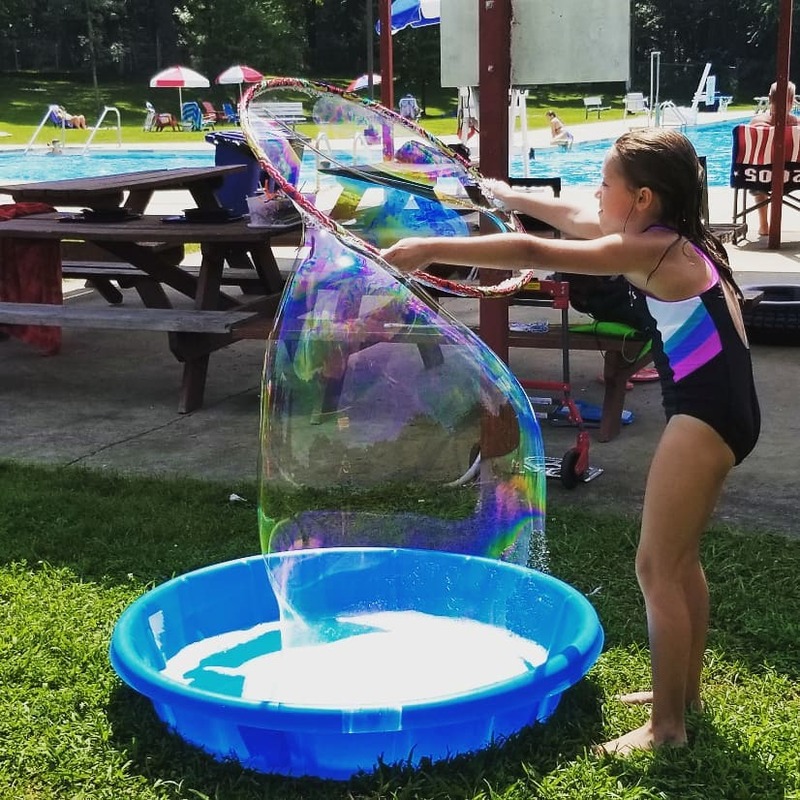 Whether it’s a one-day event or a weekly program, both parents and children will love everything they discover through Science & Swim. Science and Swim has been covered in local newspapers!